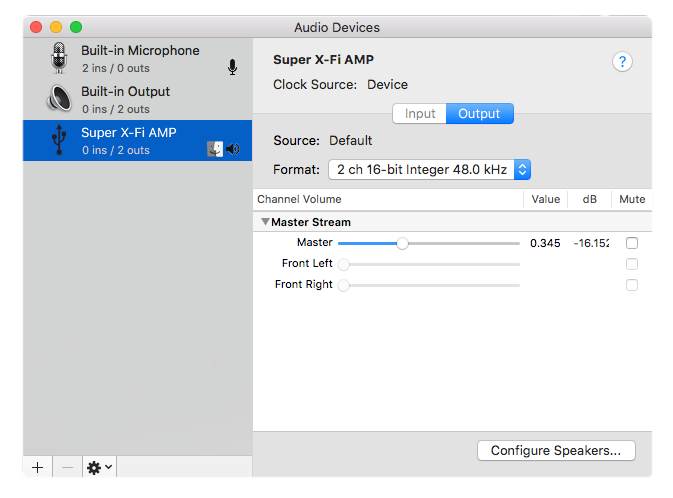 Is there a step-by-step guide to setup the SXFI AMP for use with macOS? 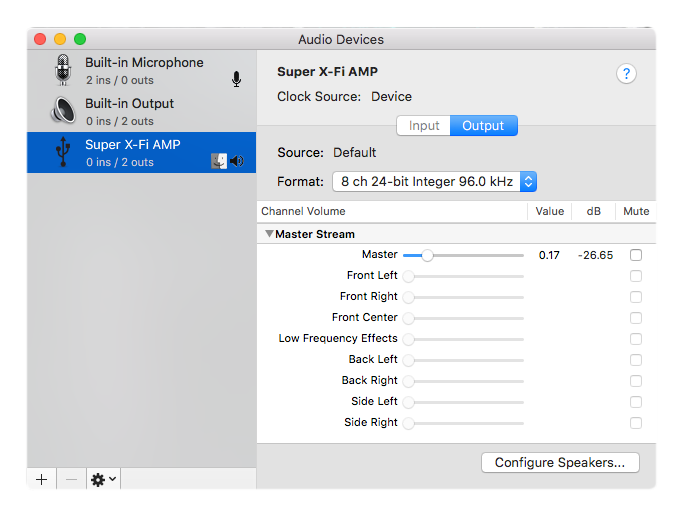 Can I use the SXFI AMP with macOS? Yes you can use the SXFI AMP with PCs or laptops running macOS v10.13 High Sierra or newer. After you have setup the AMP with your profile using an Android device, follow the steps below for the optimal Super X-Fi experience. 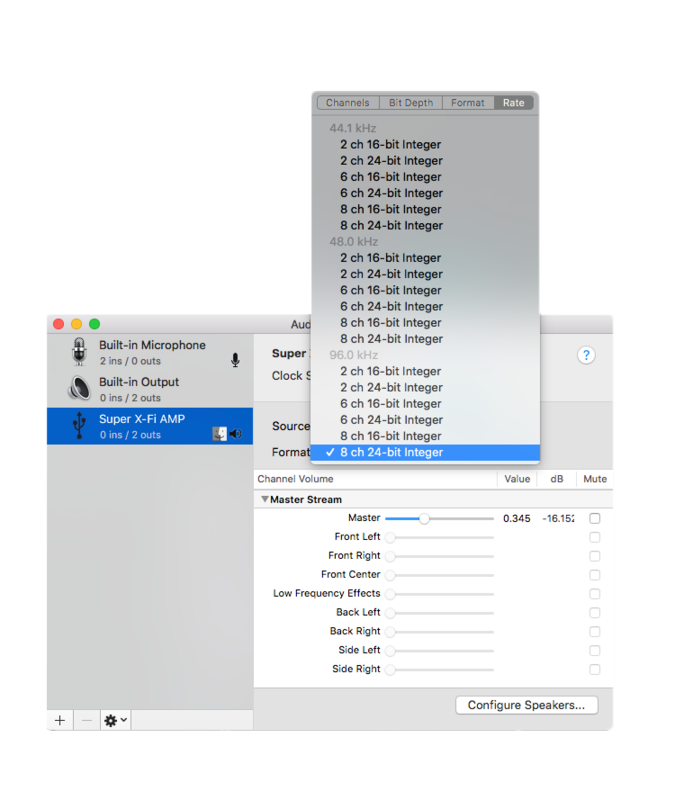 For the best experience with Super X-Fi, configure your audio settings in accordance with the number of audio channels in your content. If you're playing content with 7.1 channel audio, do set your speakers configuration (in Step 5 below) to '7.1 RearSurround'. If you are playing stereo content, correspondingly set this speakers configuration to 'Stereo'. 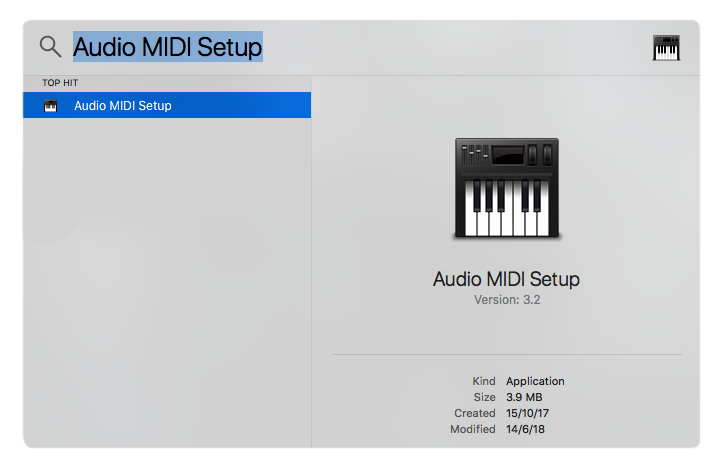 Go to Spotlight and type "Audio MIDI Setup"
Under "Audio Devices", select "Super X-Fi AMP"
You'll see the default configuration of speakers shown below. 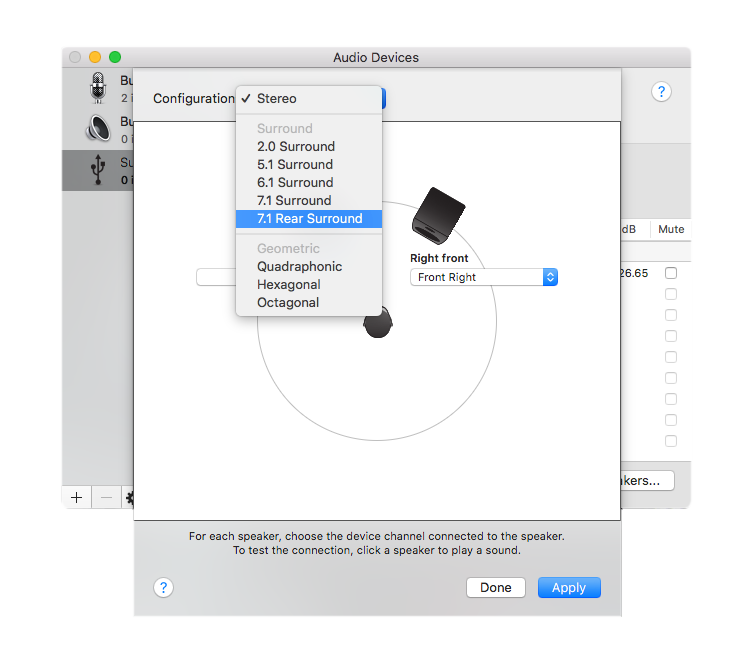 You'll next need to reconfigure four of the speaker settings via the corresponding drop down lists shown in the next step. For the "Left surround" speaker, set it to "Side Left"
For the "Left rear surround" speaker, set it to "Back Left"
For the "Right surround" speaker, set it to "Side Right"
For the "Right rear surround" speaker, set it to "Back Right"
You should end up with the settings shown below. 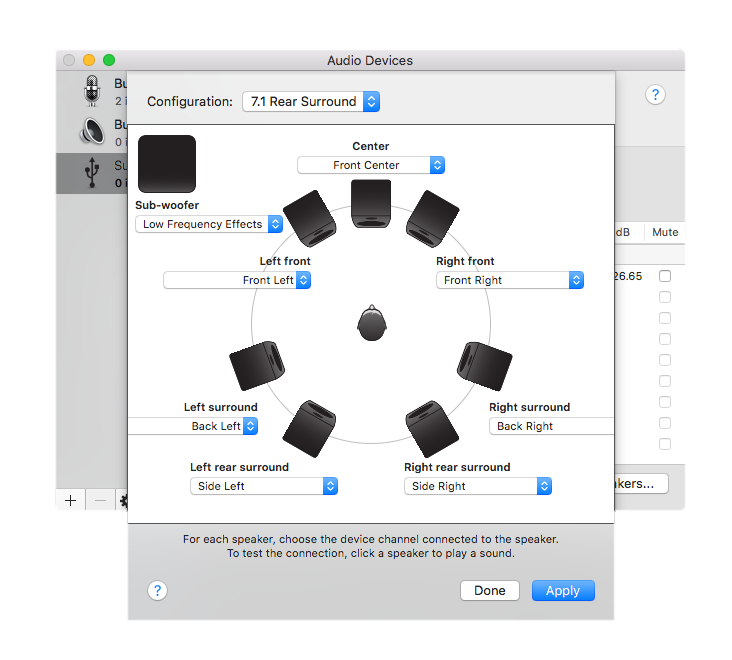 Go to "System Preferences", "Sound"
And you're good to go, enjoy your Super X-Fi experience!